One doesn’t have to be James Bond, to enjoy a, let’s say, thrilling elevator ride. One only needs to come to Vienna., obviously directly to us. Why? I mean, why to come to Vienna for a unique elevator ride? 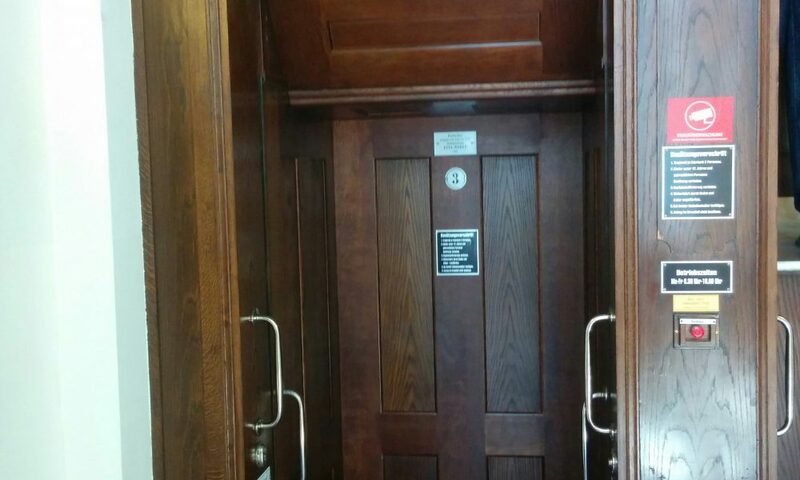 The reason is that in Vienna you will find one of the very last paternoster elevators. A paternoster is an elevator that consists of many compartments that move slowly in a loop up and down without stopping. No worries, you will manage getting on and off, and it’s really fun to try it and do so. Moreover the Vienna City Hall is a beautiful building to explore. The paternoster is open from Monday to Friday, between 06:30 and 16:00 and is free to use. It can be found at the entrance Felderstraße, which is 2 minutes from us. We wish you a pleasant time in Vienna! PS: The name paternoster stems from the fact that the compartments move like rosary beads.